You must be a member of the Paris Hospitality Group to attend this activity. Would you like to join this group? Let's get together in a Saturday afternoon to help you discover and enjoy the Left Bank spirit in absolute comfort. Protected content stands out by the remarkable size of its rooms, their rich and typically French decor and the timeless atmosphere that emanates from its century of history. You will appreciate its location near Protected content with their myriad boutiques, artisans and creators, as well as the knowledge the Victoria’s teams have of exclusive addresses in one of the trendiest districts in Paris. The goal is to help you enjoy that je-ne-sais-quoi that distinguishes Paris from all other capitals. 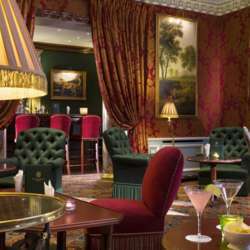 We will have an afternoon tea or whatever you want in the lovely bar inside.